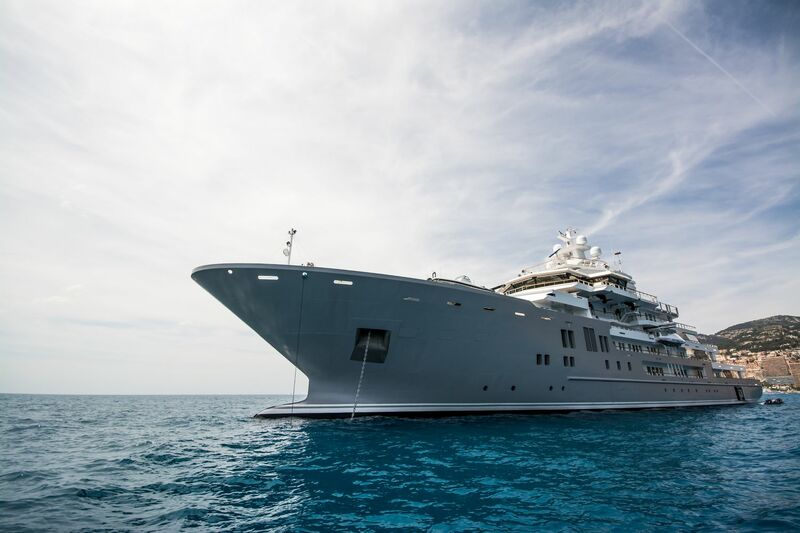 Our Superyacht Sunday feature this week gives honors to one of the most intriguing explorer yachts in the world right now. 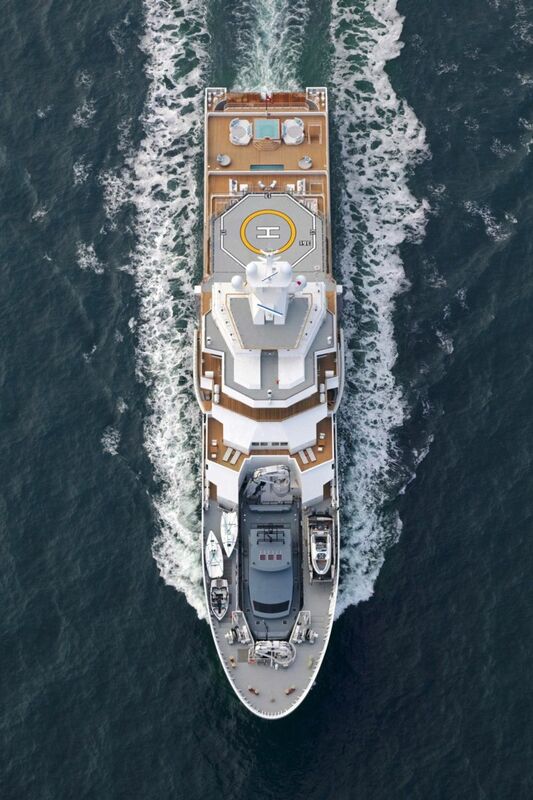 Meet Ulysses, a super explorer yacht built by Norway’s famed shipbuilder Kleven Maritime AS. 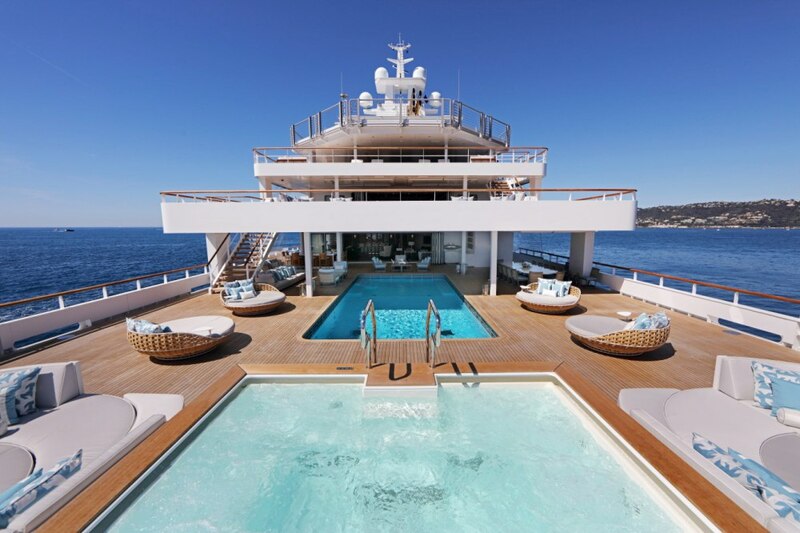 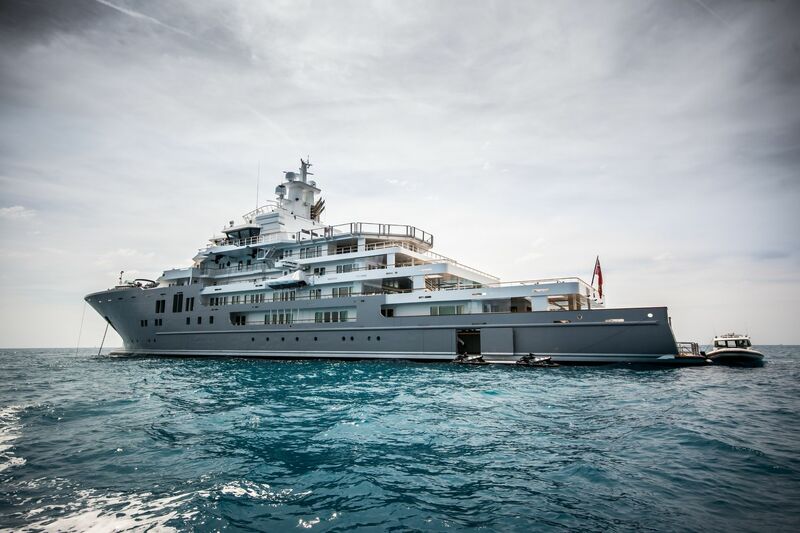 Ranked as the fourth largest super explorer yacht in the world, Ulysses not only stands out from other superyachts, it clearly blows the competition away through sheer and brave moves undertaken by both the design team and naval architects. 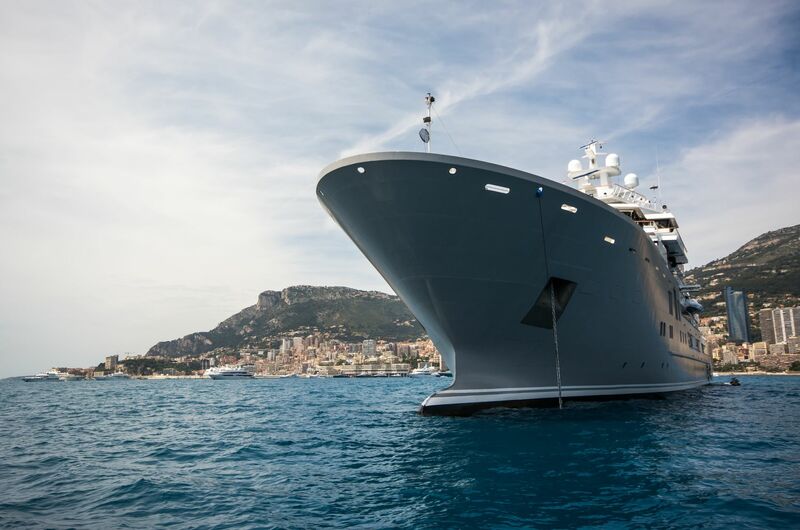 First off, Kleven Maritime specializes mainly in commercial vessels, making Ulysses their first private superyacht build. 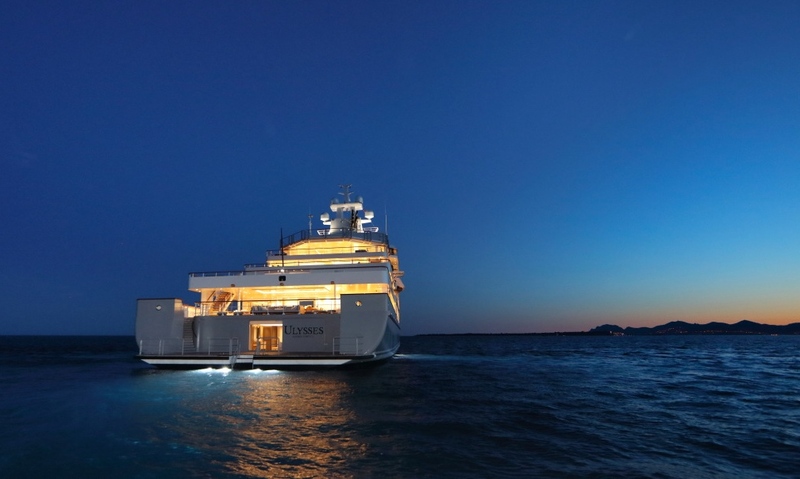 To think that a commercial shipyard would deliver unrivaled level of perfection on a superyacht project is something debatable. But the owner had a clear vision to acquire an offshore yacht with competitive capabilities able to withstand any challenges at sea. 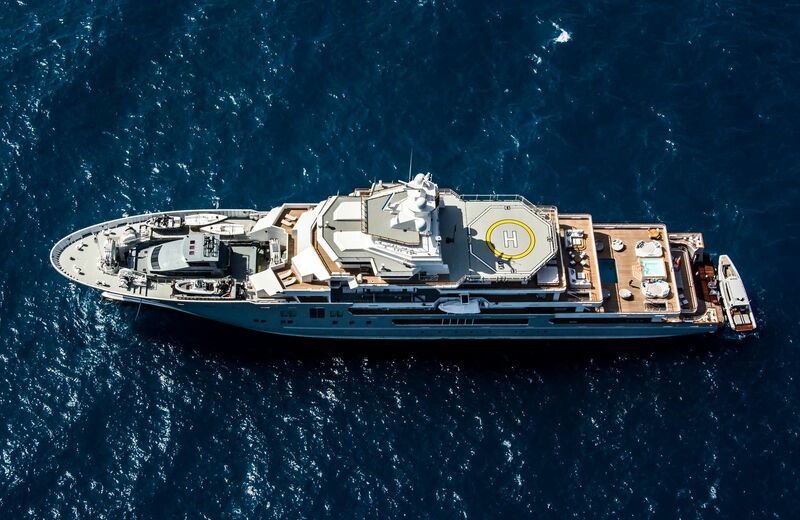 That said, Ulysses was built to stand the ultimate sea test, providing more amenities than most modern day superyachts while living up to the task of exploration. 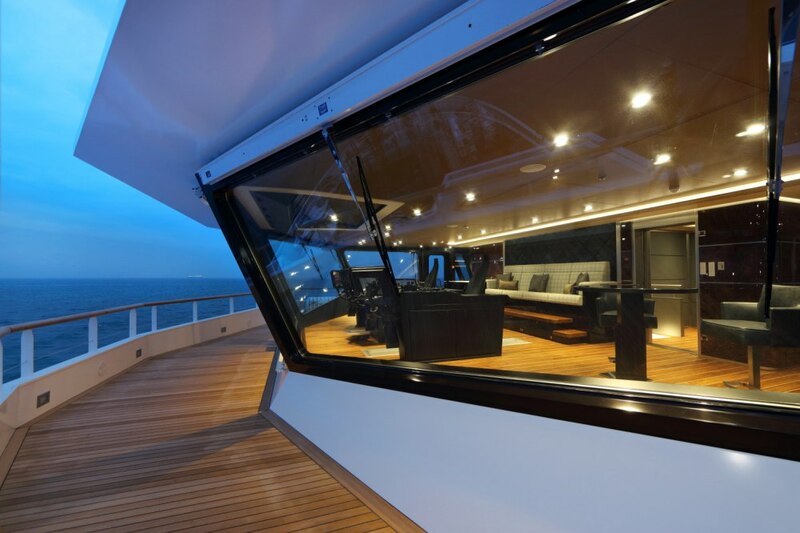 The overall length is 107m coupled with a massive 18m beam. 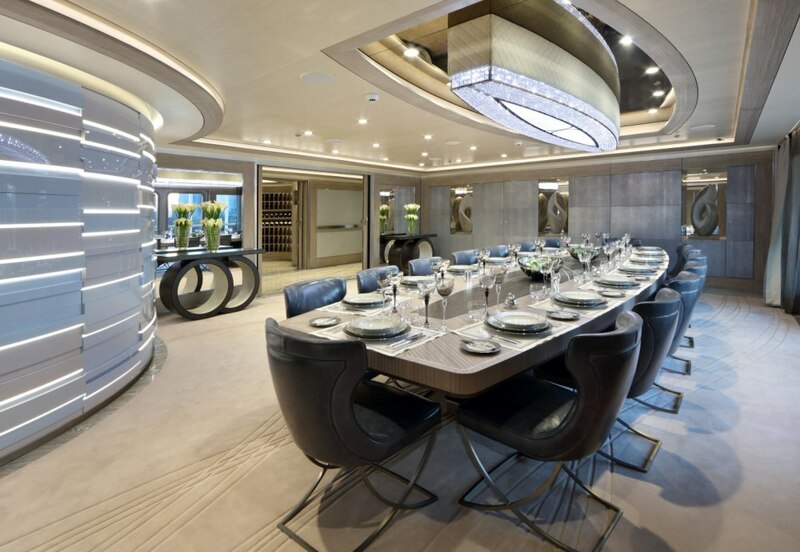 As you would expect, both the hull and superstructure are made of steel. 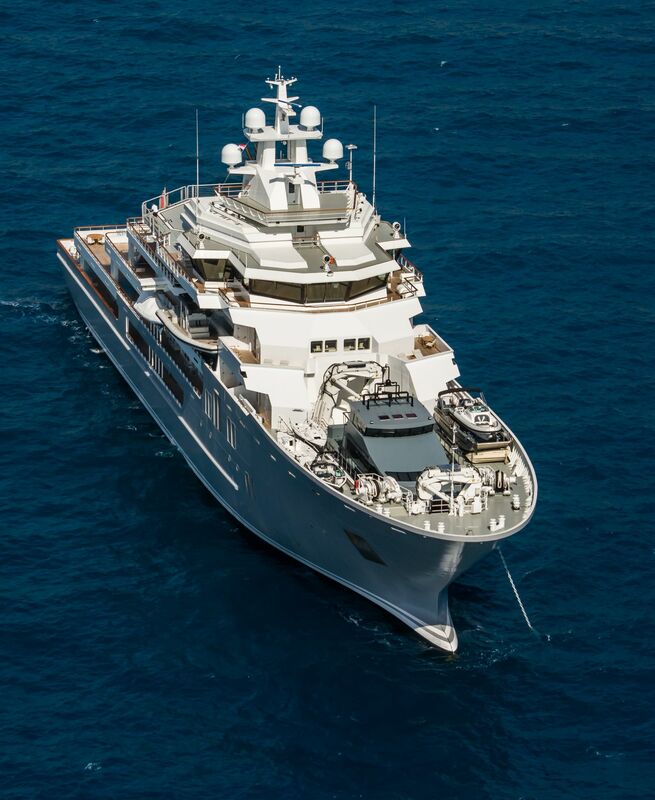 Marin Teknikk was in charge of the naval architecture teaming up with Oskar Mike on the exterior design. 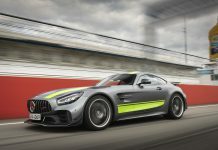 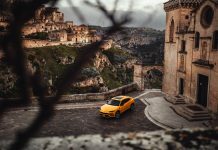 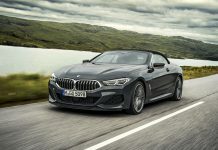 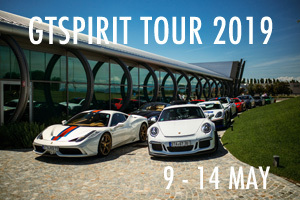 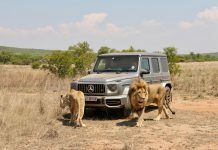 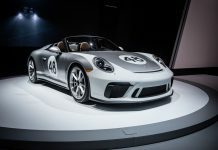 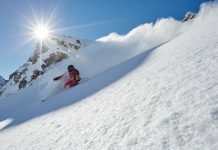 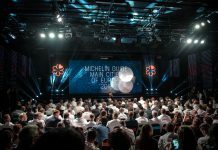 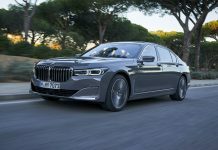 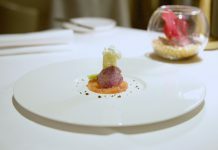 The project thus presented an unusual experience for both teams given Marin specializes in the commercial scene while Oskar deals mainly with private projects. 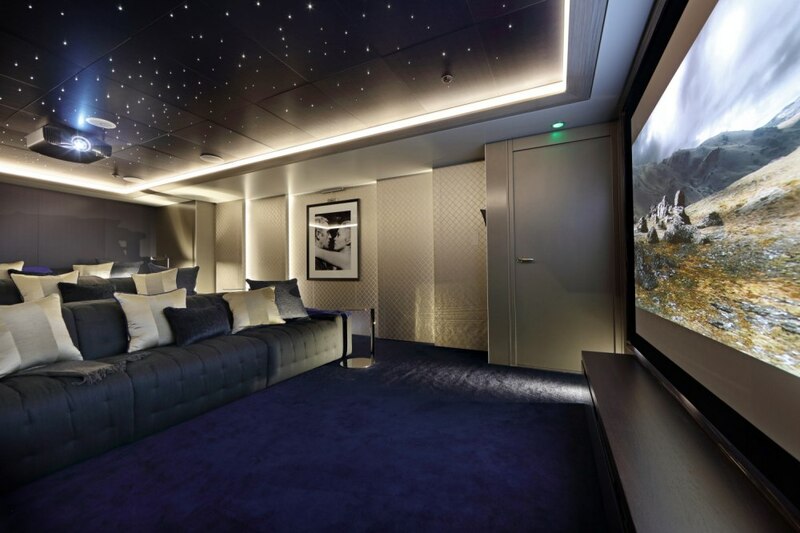 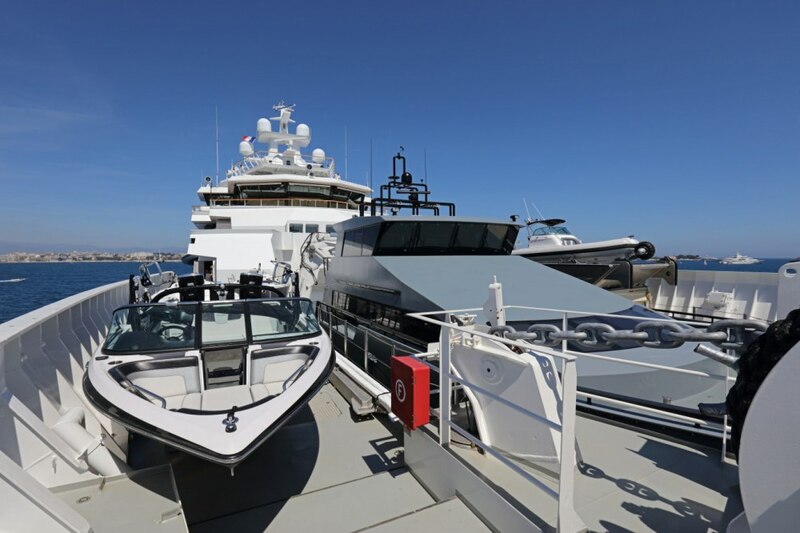 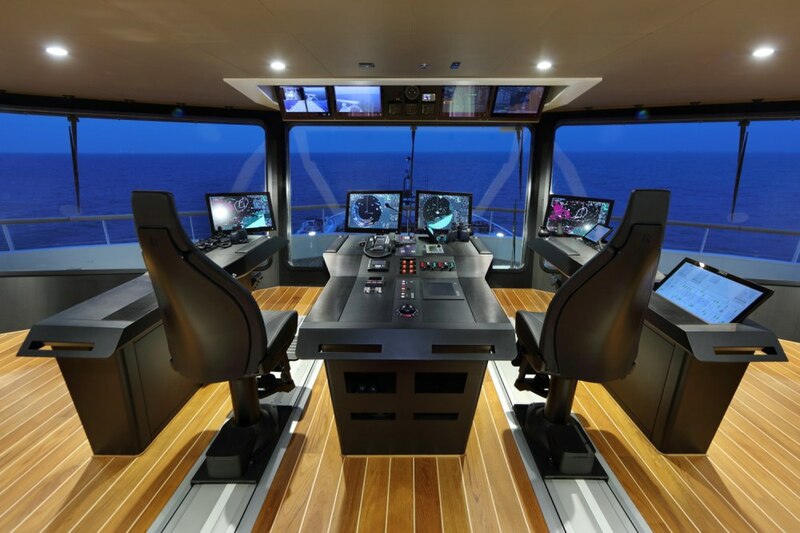 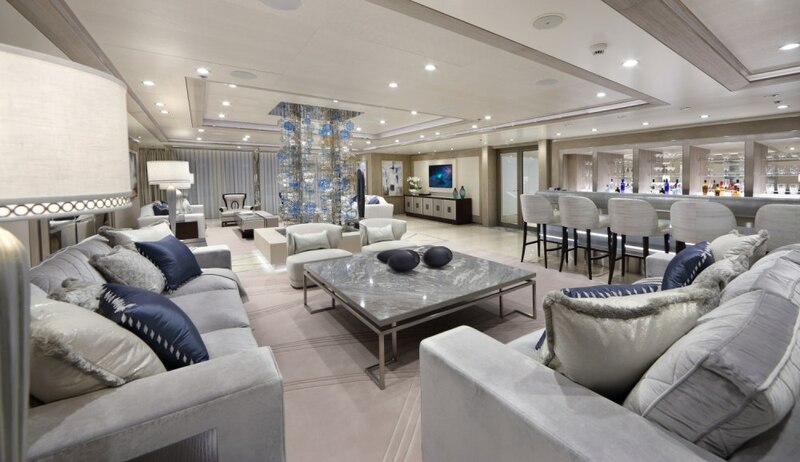 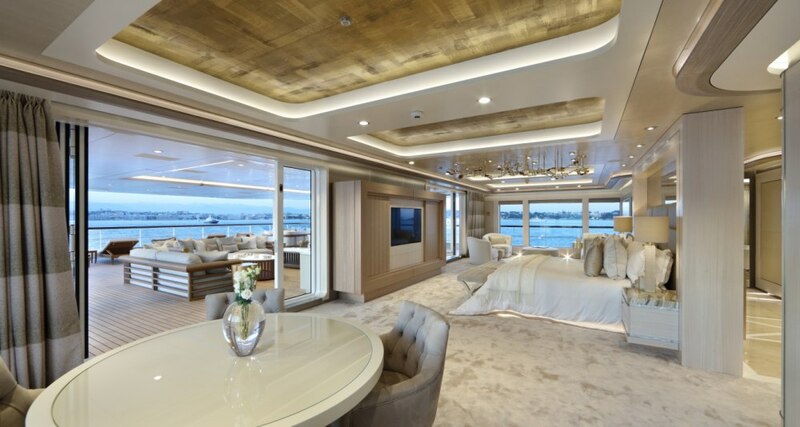 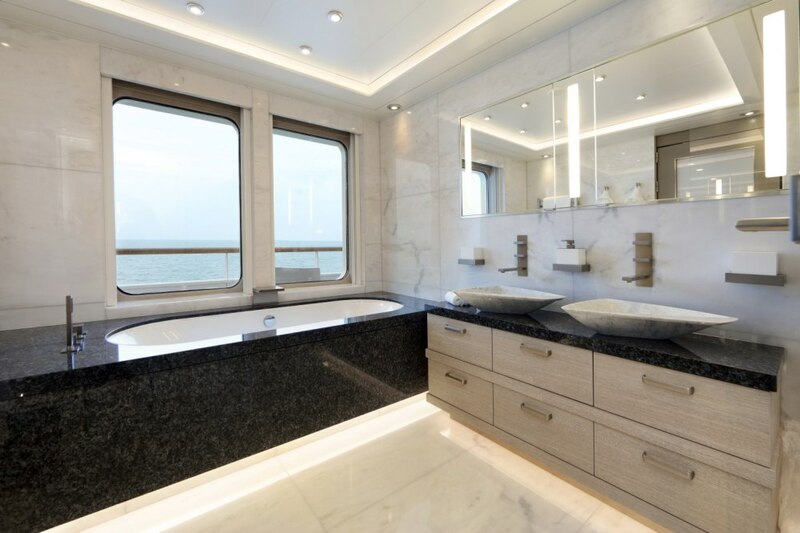 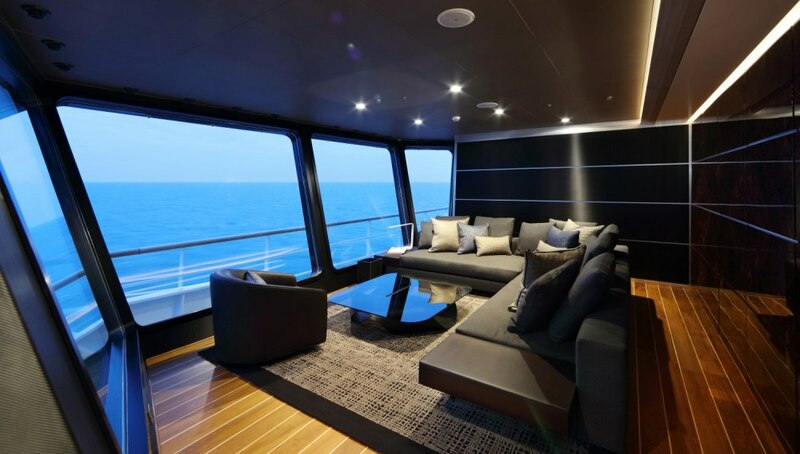 H2 Yacht Design was in charge of the interior design, again providing exciting challenges brought about by the sheer interior volume of the vessel. 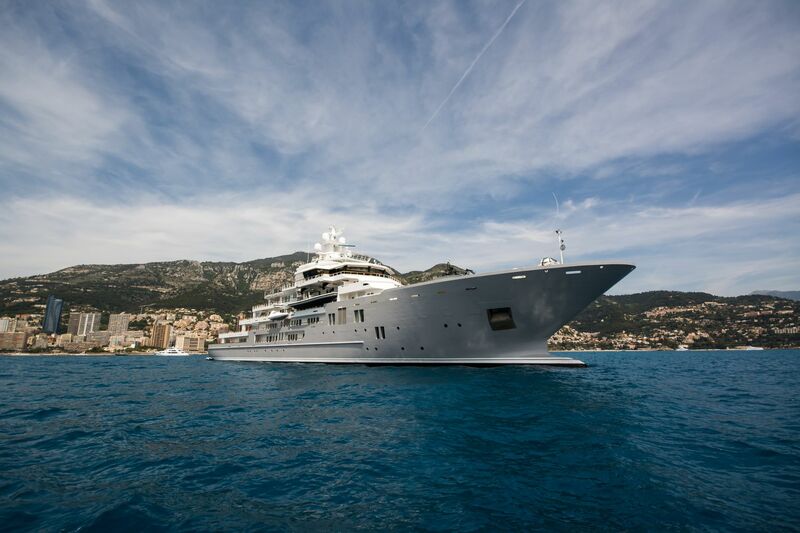 From water toys to onboard entertainment features, Ulysses clearly reveals her intentions to enter the charter world. 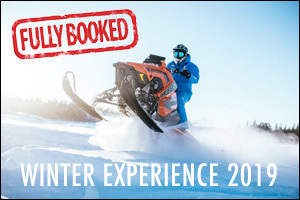 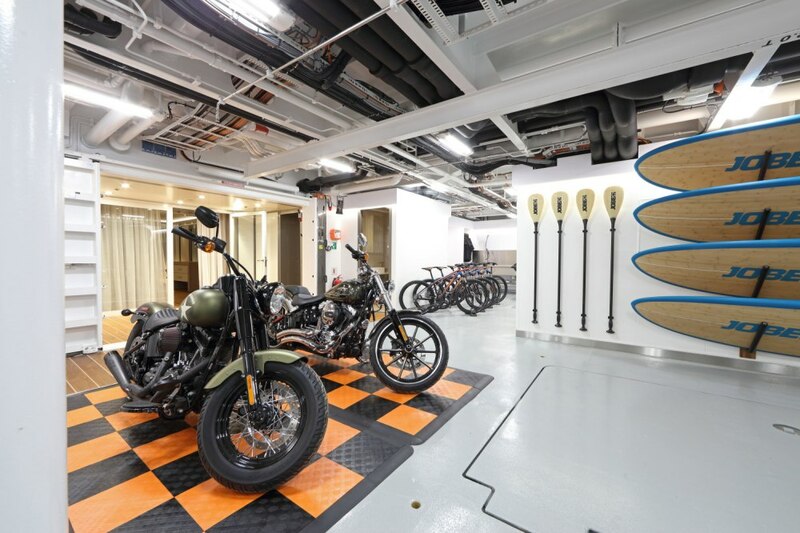 The toys range from buggies, motor bikes, state of the art diving center, sailing boats and more. 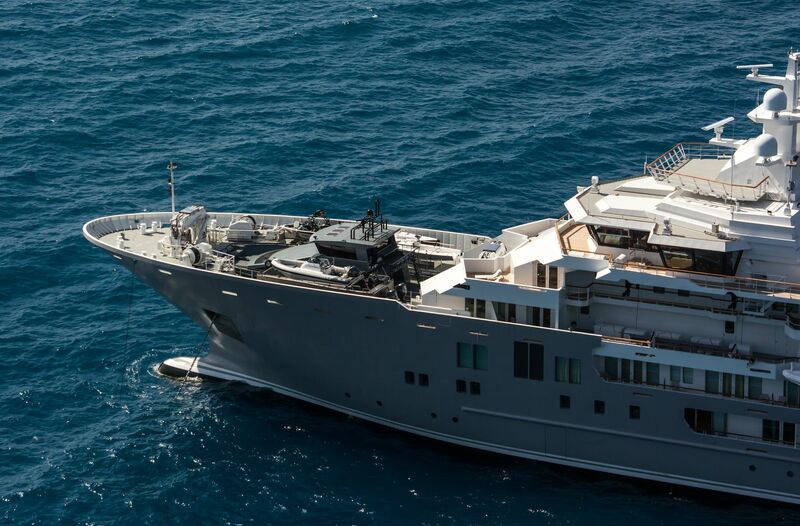 Of course the main attraction is the humongous 21m tender dubbed U-21. 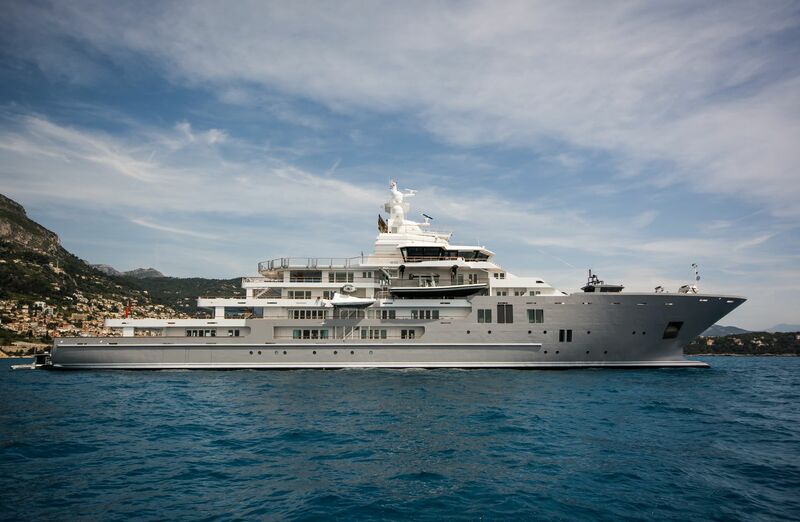 This little guy requires specially fitted cranes to lower it to and from the water, the foredeck serves as his habitat. 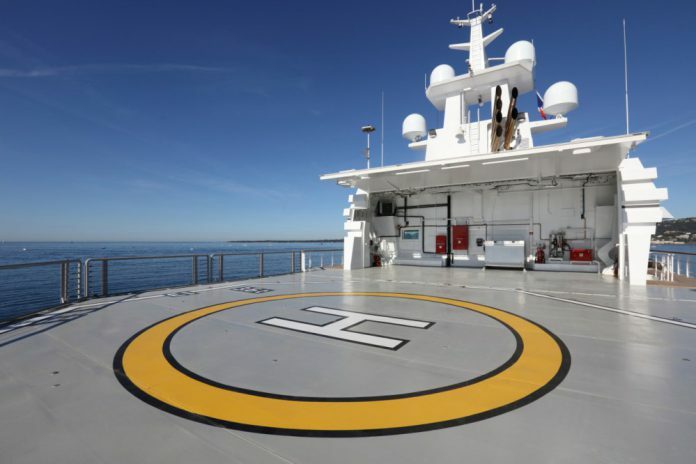 There is also a helipad complete with hanger and refuelling station. 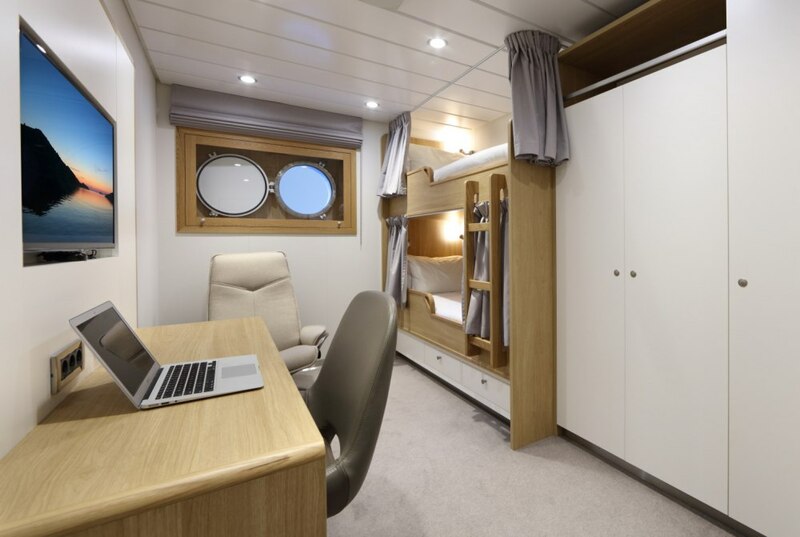 A little more on U-21, it was built by New Zealand’s Composite Projects to meet the owners deep sea fishing needs and can accommodate up to 7 guests across 5 cabins. 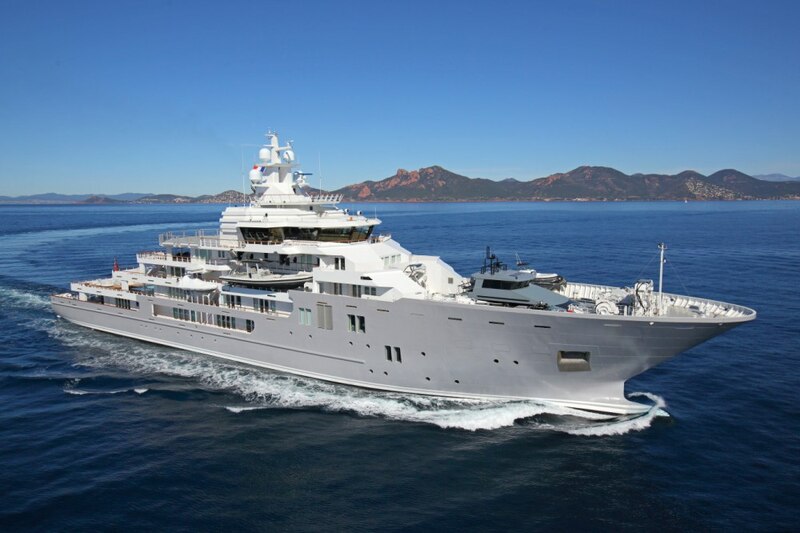 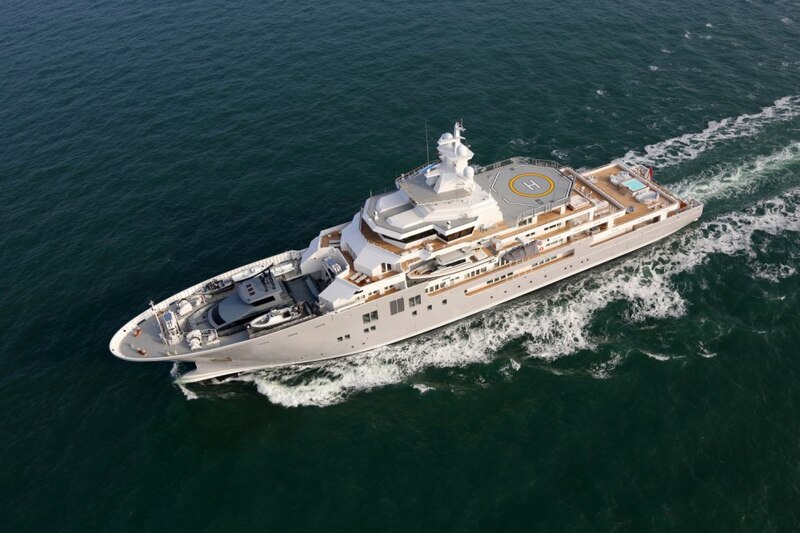 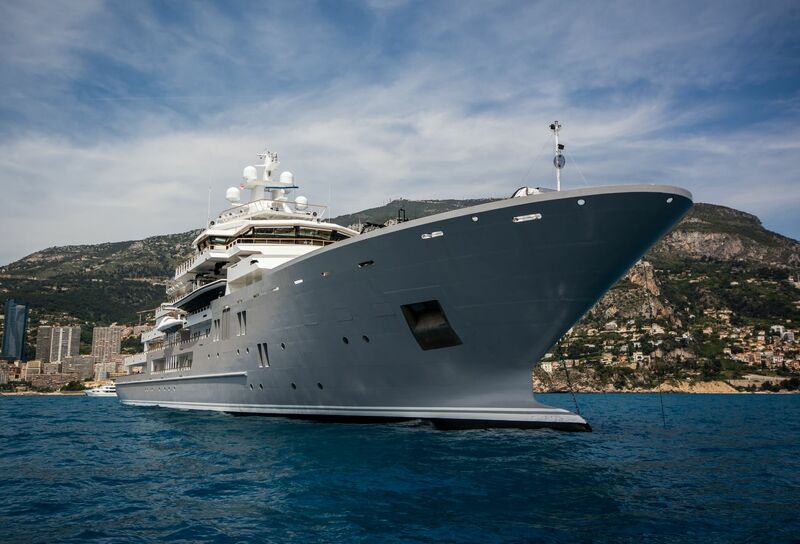 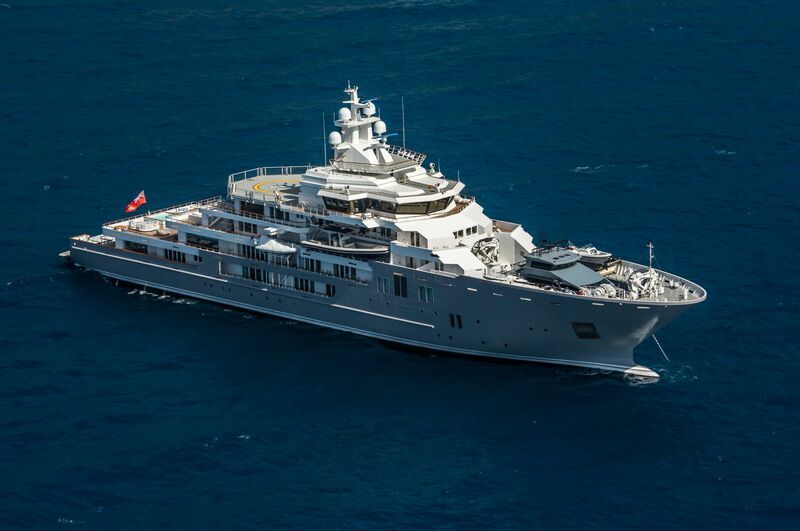 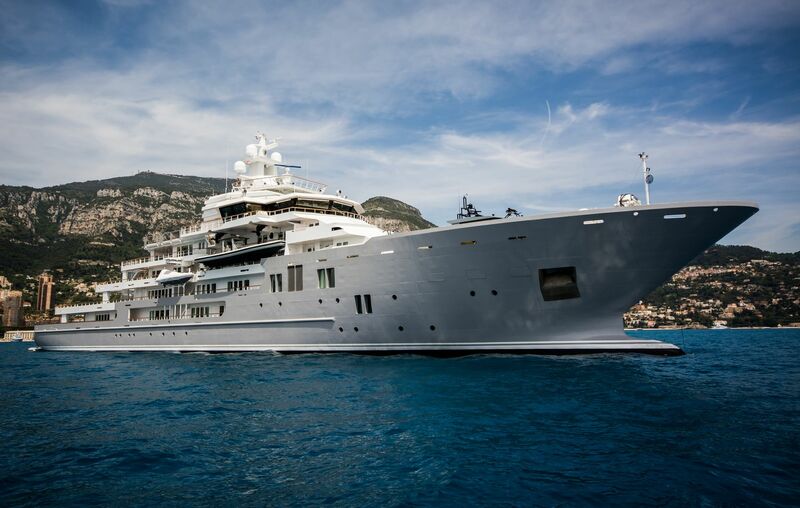 Speaking of the owner, Ulysses was commissioned by Graeme Hart, New Zealand’s most richest person. 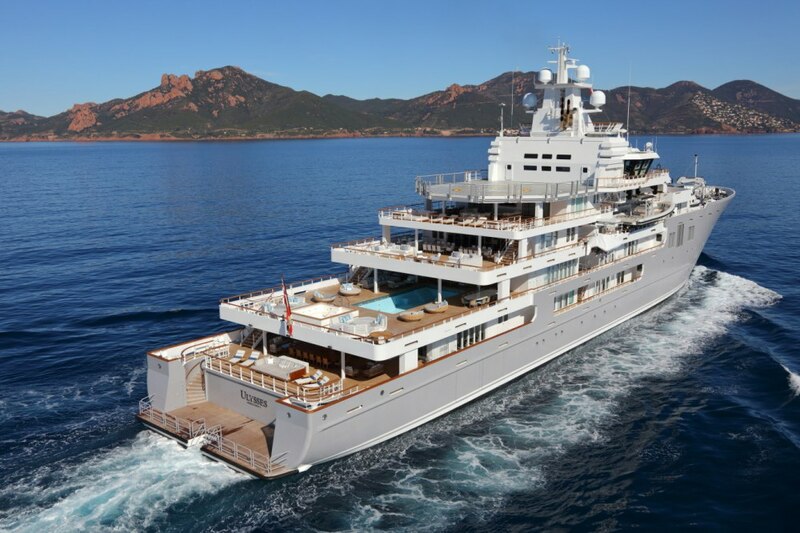 It was delivered back in March 2016. 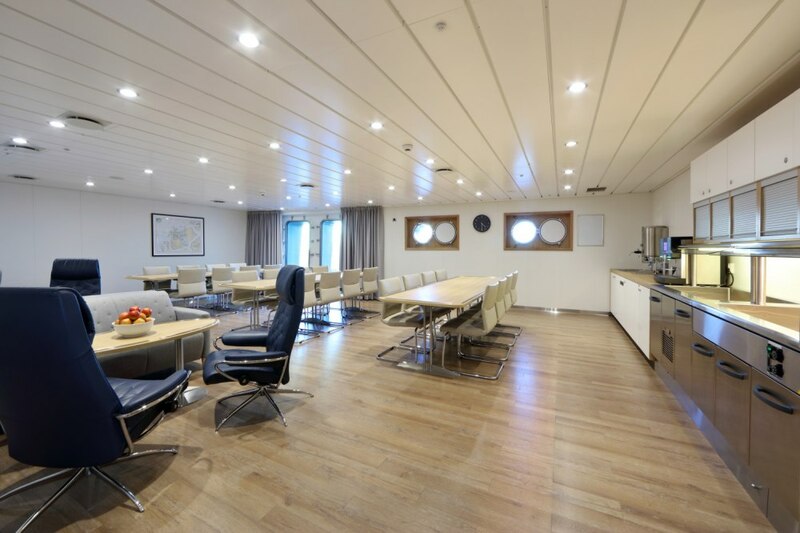 Prior to that, the project was moved from Norway to Germany in 2015 upon which Dorries Marine was tasked with the final finishing touches. 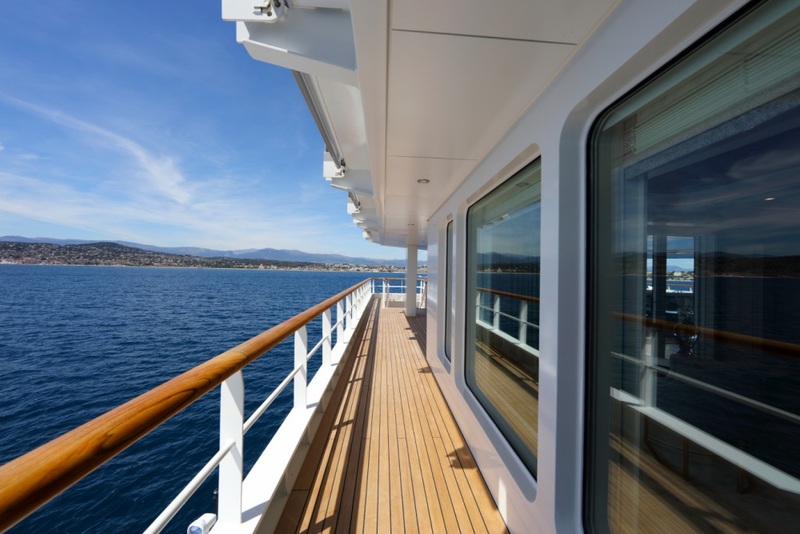 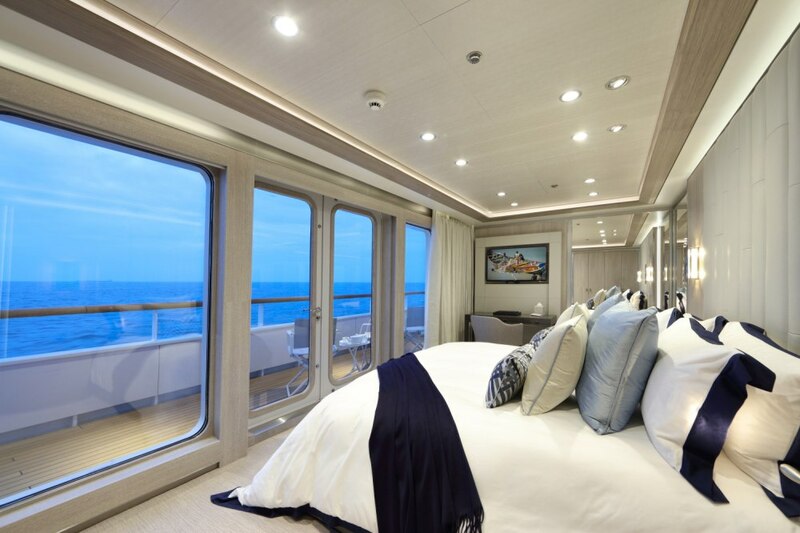 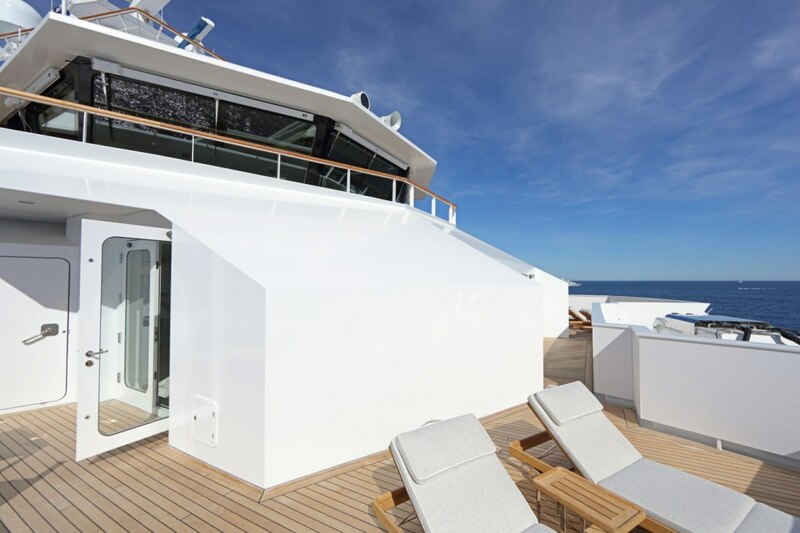 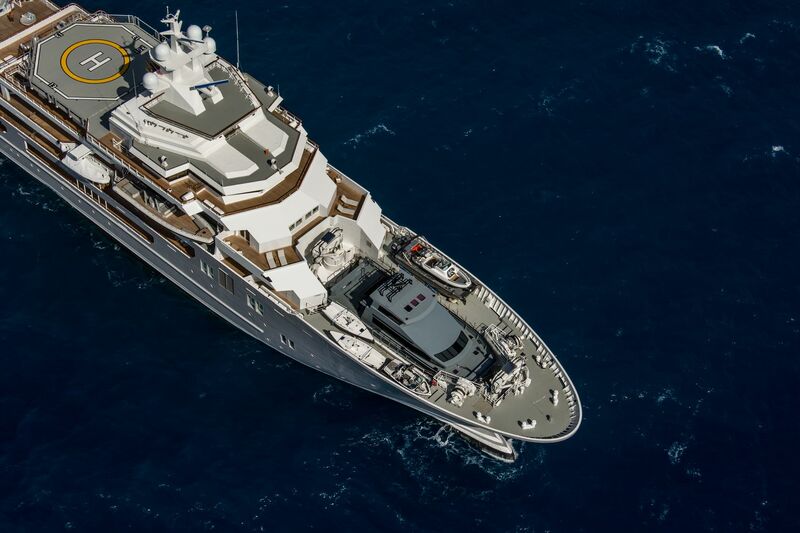 Ulysses can accommodate 30 guests in 15 cabins and a crew of 30 in 15 crew cabins. 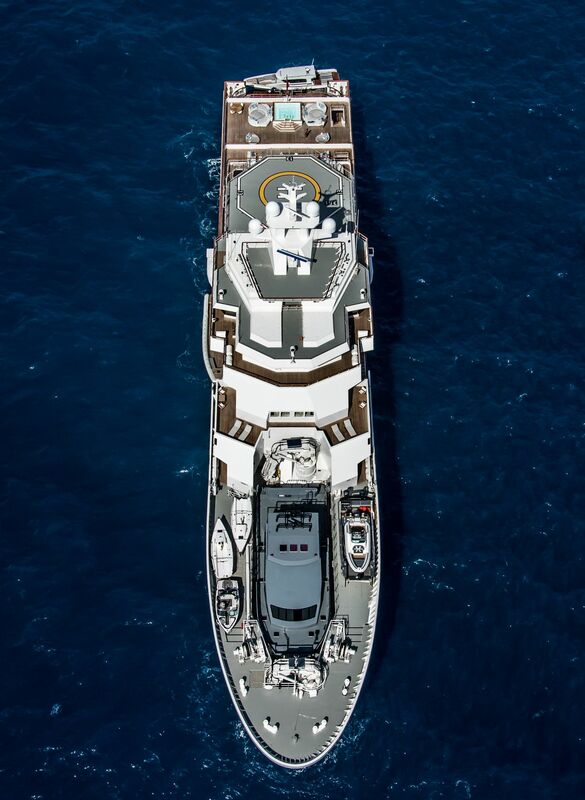 Powering her is a set of six caterpillar engines capable of achieving a top speed of 16 knots and an astounding range of 8,500 nautical miles. 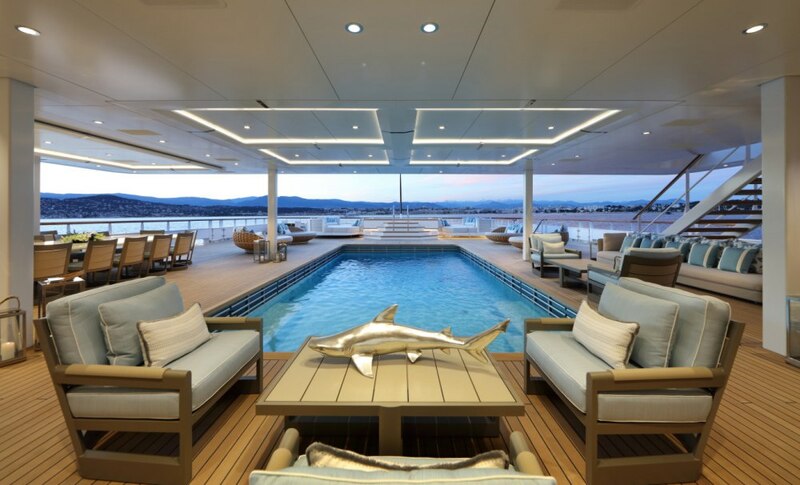 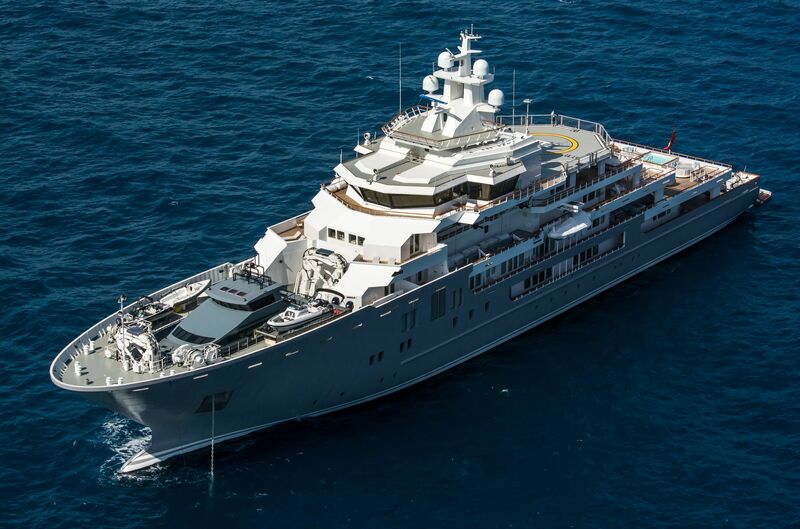 The super explorer yacht is now for sale through Fraser Yachts at a price of $195 million. 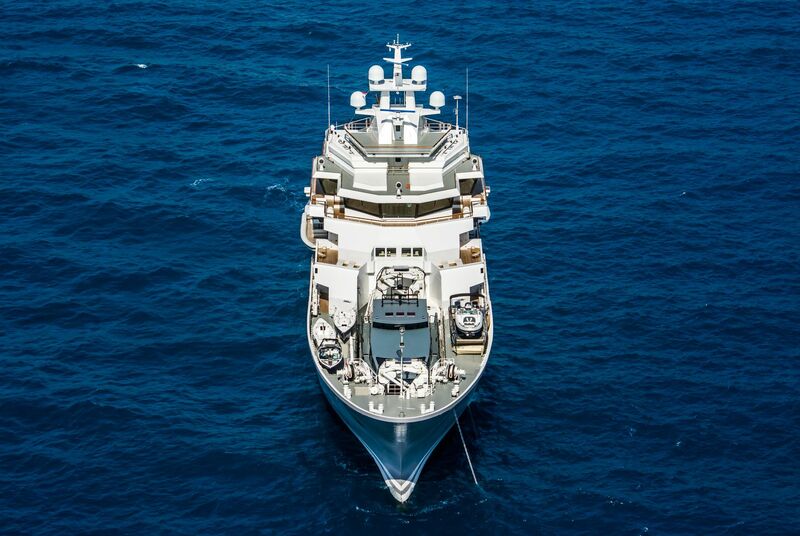 The owner has commissioned a larger explorer yacht, hull 370 with an overall length of 116 meters.